Ryan Bednard eyes the puck against Ferris State on 3/3/18. Bednard earned his third shutout of the season in Saturday's 1-0 win over Northern Michigan (Photo by Todd Pavlack/BGSUHockey.com). 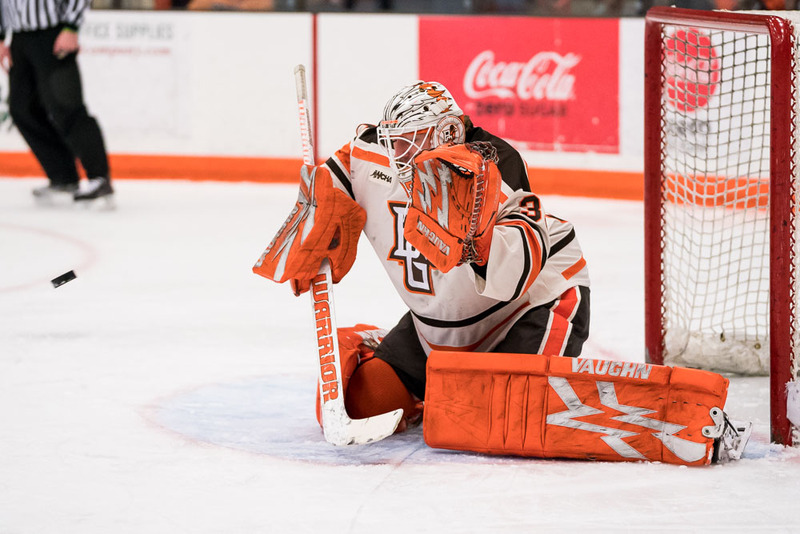 Marquette, MI – Resiliency has firmly inserted itself into the 17th-ranked BGSU Falcons hockey team’s DNA, and Saturday’s 1-0 do-or-die win over Northern Michigan was a shining example. The teams will now play a deciding game three Sunday at 7:07 to determine who goes on to play for the WCHA Playoffs championship. Ryan Bednard started in net for the Falcons and stopped all 23 shots faced. Atte Tolvanen had 19 saves on 20 opportunities for the Wildcats. Despite both teams taking a turn on the power play, the opening period featured no scoring from either side. Northern Michigan had nine shots on net in the opening period while Bowling Green had seven. The middle frame was again a scoreless affair, this time the Falcons had two power-play chances while the Wildcats had a single opportunity. Bowling Green had nine shots in second period while Northern Michigan had six. Connor Ford broke the game’s stalemate at 3:05 of the third period with the Falcons skating on the power play. Cam Wright sent a shot on net from deep in the zone that was saved by Tolvanen. The rebound came to John Schilling who also had a shot on net that was saved. But, the puck trickled under Tolvanen’s pads where Ford buried the loose rubber for his eighth goal of the season. The Falcons managed to hold off a late Wildcat push to earn the 1-0 win and force a deciding game three on Sunday. Northern Michigan had eight shots in the final period while Bowling Green had four chances. With the win, the Falcons improve to 23-11-6, 17-6-5-2. The Wildcats fall to 24-14-3, 19-7-2-2. The teams will play the deciding game of their three-game series Sunday at 7:07 PM. 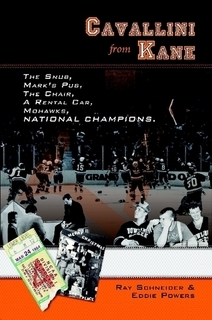 The winner will move on to the WCHA Playoffs Championship Game.